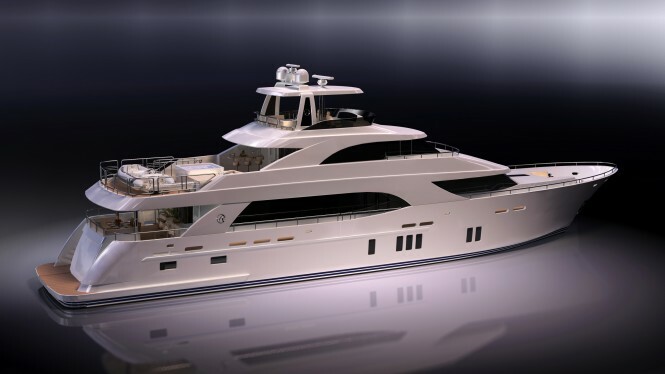 Alexander Marine, the Taiwan-based builder of Ocean Alexander yachts, is pleased to confirm the collaboration of world renowned marine designers for the new Ocean Alexander 112’ Tri-Level Motoryacht, set for delivery in 2014. Designed by Evan K. Marshall and engineered by Gregory C. Marshall, the 112′ Ocean Alexander superyacht will really be world-class in her category, setting the standard for upcoming years. 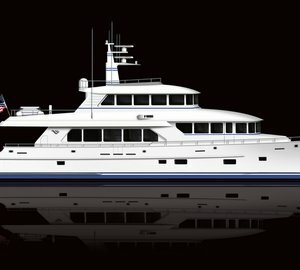 Designed, engineered and constructed to be approved for RINA classed chartering and Marshall Island “Yacht Code” MI-103, the new 112’ Ocean Alexander luxury yacht will provide state-of-the-art construction along with safety measures commonly found on much larger vessels. 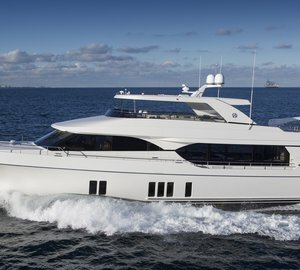 Tentatively scheduled for delivery in time for the Ft. Lauderdale Show in 2014, the 112’ Ocean Alexander yacht will be unsurpassed by any competitor in her category. With timeless styling that will appeal to a wide variety of clients, and speeds up to 24 knots, this vessel will prove to be in high demand on an international basis. 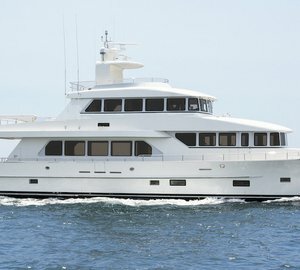 The new 112’ Ocean Alexander Tri-Level yacht features five staterooms including a full-beam master on the main deck. The full-beam master has a large seating area along with a spacious vanity as well as a small night-head for the owners’ convenience. The master head, located forward, has a full-sized Spa Pool tub with separate shower and hisand- her walk-in closets. The 112′ Ocean Alexander yacht will also include formal dining with seating for 10 along with al fresco dining on the aft deck with the expansive table and settee. The crew quarter arrangements allows from four to six, depending on the configuration. The skylounge provides an additional living/entertaining area with seating for 8-10, a game table, and opens to the immense boat deck. The boat deck, being one of the largest found on this size, includes and oversized bar, an enormous settee and table, along with a hot tub. With all of these amenities, the new 112′ Ocean Alexander yacht still maintains a generous floor area for ease of access to all areas on the deck. The pilothouse forward has side doors leading out to a Portuguese bridge to help facilitate docking and provides panoramic views. With factories in Taiwan and China, Ocean Alexander’s combined yacht-building facilities make it among the largest in Asia. Ocean Alexander is based in Kaohsiung, Taiwan. Its yachts are available in the U.S. through dealers in Seattle, WA; Ft. Lauderdale, FL; Newport Beach, CA; and Sturgeon Bay, WI. 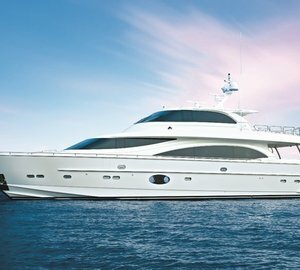 Please contact CharterWorld - the luxury yacht charter specialist - for more on superyacht news item "New 112’ Tri-Level Motoryacht by Ocean Alexander with delivery in 2014".